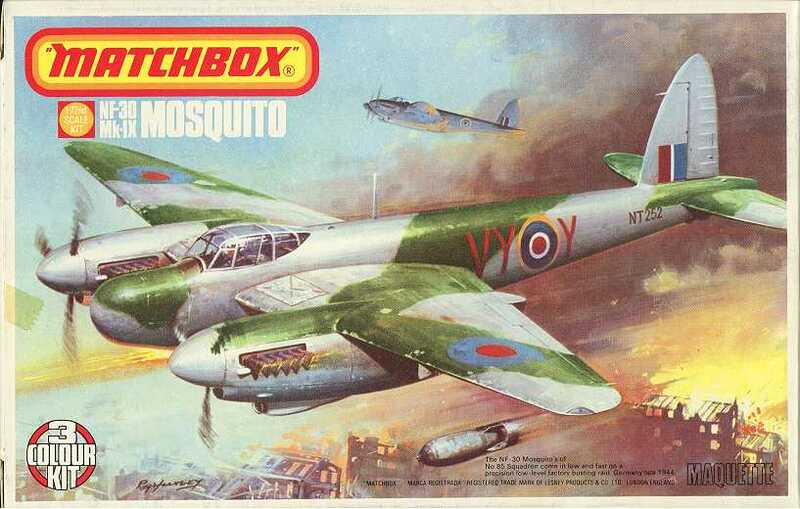 Matchbox 1/72 scale de Havilland Mosquito Mk.IX/NF.30 box artwork. Box artwork, rear side. As is standard with most Matchbox kits, the paint scheme is shown on the back of the box. Kit components, note that Matchbox kits typically came moulded in a number of colours. 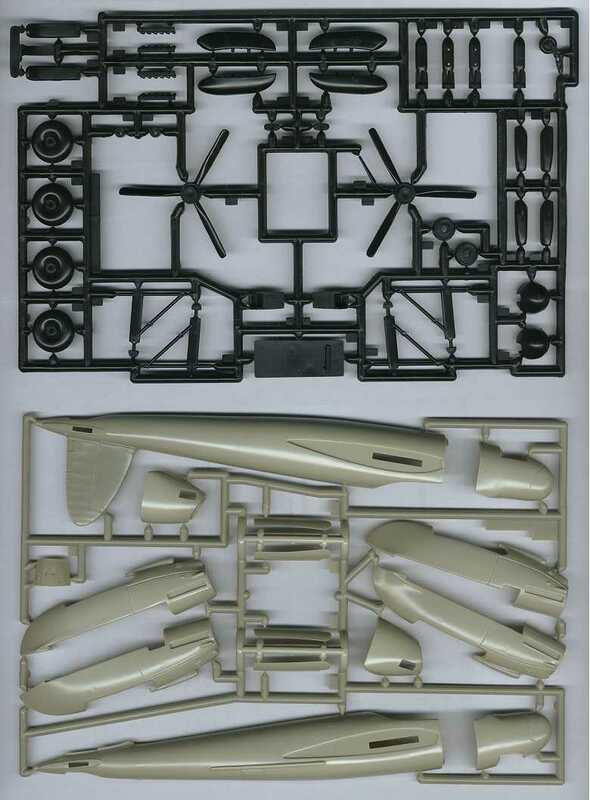 Kit components, including clear parts and decals. The moulding quality of the Matchbox 1/72 scale Mosquito appears to be quite reasonable, with little evidence of flash and flow marks. The level of detail is however disappointing when compared to more recent kits. 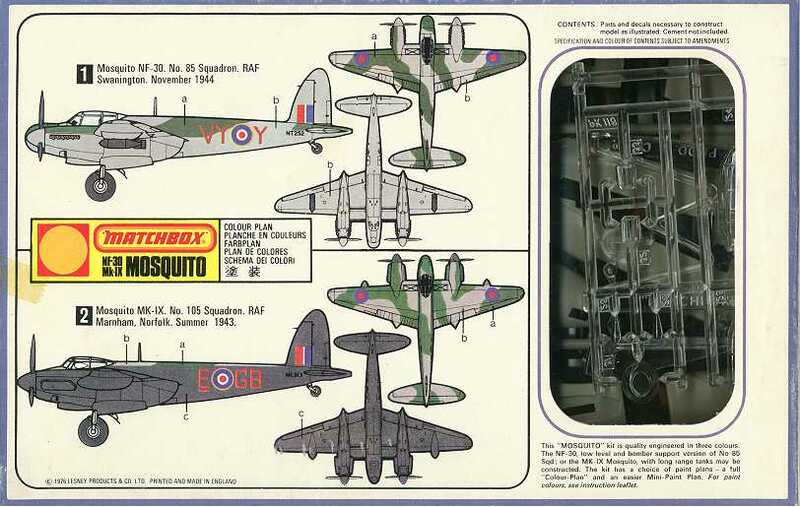 Matchbox kits were typically moulded in different colours for each of the supplied sprues, presumably to allow those wishing to get the kit built as quickly as possible do so without having to worry too much about painting it! The kit comes complete with parts and decals to finish the model in one of 2 variants, a B.IX of 105 Squadron in 1943 and an NF.30 of 85 Squadron in 1944. Note also that I have also been informed that this is still the only complete 1/72 kit with two-stage Merlins. 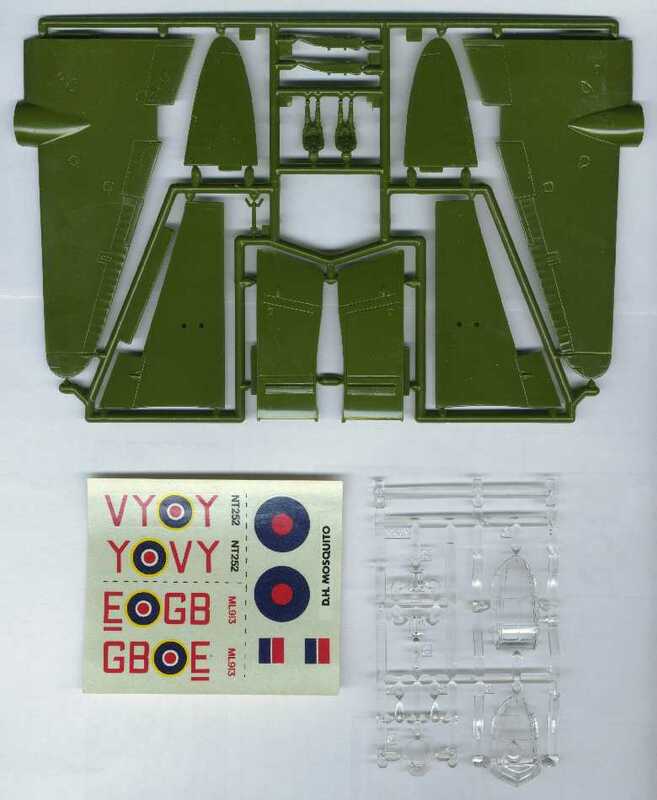 The alternative is to mate the Paragon resin conversion with the Airfix kit (which it is believed is what it was designed for; it might not fit the Tamiya kit as well).